The Sacrifice by Indrajit Garai is a series of 3 short stories which explores human nature, sacrifice, hope, despair and more..it’s a real ride of emotions. The Move, the first tale follows Guillaume, a dairy farmer struggling to makes ends meet and to keep his son fed..this certainly set the bar for the book as Gulliaume was such a positive character and managed to lighten the harshness of the tale at times. It’s a real story of struggle and determination not to give up..and that ending! Wow. The Listener, 2nd story in the book follows Mathew, a troubled child who’s one love is his beloved tree..and he will do anything to protect it. It’s a real tale of devotion and communication.. the struggle between parent and child creating boundaries they struggle to break.. The most moving of the three tales is The Sacrifice which follows François and his grandson Arthur… François is willing to do anything to make sure Arthur has everything he needs.. he barely eats just so Arthur can..he hides the truth but Arthur is bright..he knows something isn’t right.. in the end their lives are turned upside down but the sacrifice’s François makes will shape Arthur forever. To say the book is moving would be an understatement. Each story is very different but they work well together as a series and each hit home with a common theme..sacrifice..love..what would you do for those you love.. I know I’d do anything and that’s why this book really resonates.. the emotion seeps though. The only thing for me the author could do is work on the blurb, beef it up a little..without reading the reviews you can’t really get an insight to the book and for me I like to read both the blurb and reviews as well as look at the cover to form an opinion before buying… the blurb is super important to me.. I might have missed this gem if a book. Well written and with thought provoking events makes The Sacrifice a 5* read in my opinion. This entry was posted in Book Reviews, Short Stories and tagged Bloggers, Book club, Book Lovers, Book Reviews, Bookaholic, BookBlog, Bookish, Books, Bookworm, Reading, Reading List, Reviews, Short Stories on April 25, 2019 by Bairdy1985. Today I’m going to share my thoughts on The Watson Letters Volume 1: Something Wicker This Way Comes by Colin Garrow. In a not quite Post-Victorian, steampunk parallel universe, Holmes and Watson continue their fight against crime. Based on the infamous Blog of the same name, this indecorous take on the Holmes and Watson stories pitch the detecting duo into Whitechapel, the Western Isles and the Village of the Damned. Adult humour throughout. THE WATSON LETTERS is book #1 in this Victorian comedy adventure series. I chanced upon Colin Garrow while on Twitter.. I’m nosy so had a look at the books he’s written..Sherlock Holmes? YES PLEASE!. Sherlock has always been a favourite of mine, his humour dark as well as the subjects he explores. This collection is written from Watson’s viewpoint as he chronicles the cases he and Sherlock examine. More often than not Holmes leaves Watson in the dark and this is where the adult humour really comes in. The relationship between the two was so much fun.. humorous..witty.. I really enjoyed the short sharp style diary entries which made it easy to read. It was exciting and riveting, a thoroughly enjoyable read! It can’t be easy writing a story based on a well-known figure..how can you live up to expectations? For me Garrow got it spot on and I immediately felt at home with the tale and I loved it from the first page to the last! Why did I choose to read this book you might wonder? Well I read a lot and sometimes I need a change of pace or an easy quick read. At under 150 pages this filled my needs for a quick read..but what I got was so much more than I could have expected and I’m so glad I took the time to enjoy this beauty of a book. My rating – 5/5 Stars! 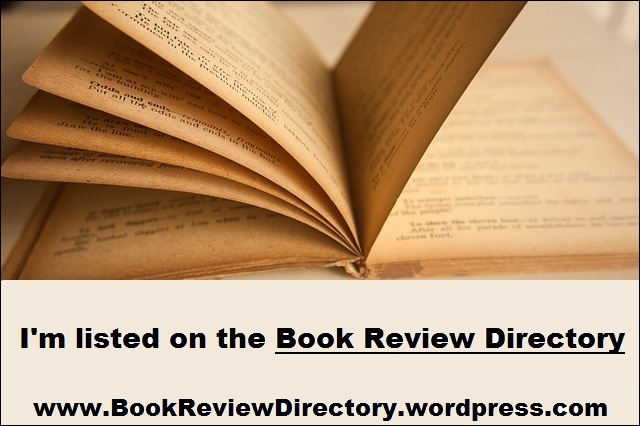 This entry was posted in Book Reviews, Historical Fiction, Mystery, Steampunk and tagged Bloggers, Book club, Book Lovers, Book Reviews, Bookaholic, BookBlog, Bookish, Books, Bookworm, History, humour, Mystery, Reading, Reading List, Reviews, Writing on April 19, 2019 by Bairdy1985. In an epic tale of courage and ferocity, the kingdom of Mercia is born. More than a year has passed since the English crossed the German Sea to settle the island of Britain. Secure now in their Anglian fastness, their gaze turns to the West. But other kingdoms also covet the middle lands. Sweeping down from the western hills Cynlas Goch and his army of Powys lay waste the valley of the River Trenta, burning, killing and enslaving as they go. Heavily outnumbered but trusting to their valour, can Eofer king’s bane and his war band slow the onslaught until the English and their allies wrest a final victory from the ashes of defeat? The Scathing is the third book in the Bestselling King’s Bane series, the genesis of England. The Scathing is the 3rd and final book in the King’s Bane series and we are back with Eofer and his loyal troop. Years have passed since Eofer earned the title of King’s Bane.. he’s older but also a little wiser. With the Powys on the attack our heroes are tasked the unenviable task of putting an end to their rampage..and they’re heavily outnumbered…they must do what they can to protect those that can’t defend themselves. This story really develops Eofer for me, many friends have come and gone and he’s haunted by his past as it walks beside him..he will never let the memory of those lost be forgotten. Not only were these moments quite moving but I thought it linked the books together well. Eofer’s memories tugged at my own and I found myself reliving past events in the series. May sets a vivid scene of tumultuous times..people are dying horribly and something must be done.. many more lives will be lost…it’s a tale of camaraderie and hard-fought battles..
What the author did superbly for me was the connection between Eofer and his men…not only is it believable but each member of the team has value and is developed in their own right… they really are a tight team of loyal men who would die for each other. The main storyline of war was vivid and engrossing but so emotionally charged..each chapter tearing at me as the tale progressed. So much so that the ending left me shattered..heartbroken..what a cracking ending to a very detailed and exciting series. The Scathing has the perfect mix of plot and character development, there’s a big picture but lots of personal titbits to make you fall in love with the characters..their humour..I’ll truly miss them. There’s something to keep everyone happy with this book..it just ticks so many boxes. I can’t give it any less than a 5 star rating.. that ending.. just wow. Top marks! This entry was posted in Book Reviews, Historical Fiction, Uncategorized and tagged Bloggers, Book club, Book Lovers, Book Reviews, Bookaholic, BookBlog, Bookish, Books, Bookworm, C.R. May, Historical Fiction, Reading, Reading List, Reviews on April 17, 2019 by Bairdy1985. Next up for review is Seraphina’s Song by Kathryn Gauci. Dionysos is a man without a future, a man who embraces destiny and risks everything for love. A refugee who escapes Smyrna in 1922 disguised as an old woman. Alienated and plagued by remorse, he spirals into poverty and seeks solace in the hashish dens of Piraeus. When he can go no lower, opportunity knocks, and Dionysos’ meets Aleko, an expert bouzouki player, recognising a rare musical talent, Aleko offers to teach him to play. But Dionysos’ hope for a better life unravels when he meets Seraphina — the singer with the voice of a nightingale. From that moment his life is in danger and there is no going back. I remember vividly reading The Embroiderer by Kathryn Gauci and the word that still comes to mind is epic…luckily for me the author isn’t a one trick pony! Seraphina’s Song follows Dionysos.. his life was turned upside down.. he fled his war-torn home but is beaten up with guilt.. just when he’s got a chance of a new life we learn it’s not going to be the happy ending he would like. Dionysos is down on his luck..scrapping money together of with odd job just to get by. Aleko walks into his life and takes a shine to him. so much so he promises to teach Dionysos to play the bouzouki. At first Dionysos doesn’t believe him.. but when he goes to the club Aleko claims to play in he soon realises the truth and the chance he’s got. Soon Dionysos meets Seraphina, a woman who could charm any man.. and Dionysos falls hard a fast..and this ultimately leads to his downfall…he’s not the only man with his eye on her. What Kathryn Gauci does perfectly is the characters and their development. Each character feels real and they all have their own story to tell.. and little by little we are given more detail..never forced..the chracters just grow naturally. For me Aleko stole the show, at first little is known about the man but we soon get to learn more about his family and a connection to Seraphina which causes Dionysos to doubt everything. The tales is paced well and the plot is dark and intense.. you know from the outset the outcome of the tale… but we get to read the journey..and I was hooked. Seraphina’s Song is a short tale at 172 pages but it’s certainly a well planned and gripping ..another epic read from the author for me. I could never imagine such a dark and emotionally charged tale could be written but that’s what the author does best..you get so much more than you could ever imagine.. rich in detail and a plot that will stay with you long after you’ve finished. My rating – 5/5 stars!!!! This entry was posted in Book Reviews, Historical Fiction and tagged Bloggers, Book club, Book Lovers, Book Reviews, Bookaholic, BookBlog, Bookish, Books, Bookworm, Historical Fiction, Reading, Reading List, Reviews on April 16, 2019 by Bairdy1985. Today I’m taking part in the blog tour for Keith Nixon’s new book – The Nudge Man. I’m a massive fan of Keith’s work so jumped at the chance to read/review the book as part of the blog tour.. did I do it for the free book? No! I’ve bought a copy too.. it’s well worth the £1.99 kindle price tag. Harry hasn’t seen his family in years..he beleives his wife left him after a scandal but we soon learn there’s more too it than that. Hennessey employs a down and out Harry to track down the Nudge Man..why you might ask..well there’s a personal connection. Hennessey says it’s the Nudge Man who set Harry up all those years ago and cost him his family. Harry’s not quite sure how he feels about all this..he’s stuck in-between a rock and a hard place and at every turn someone is trying to control his next move. Who can be trusted? Keith Nixon weaves an exciting tale with some very spectacular turns..it’s riveting and perfectly paced to build up the suspense I like in a gritty thriller. Keith never fails to pack a punch in his work..everything works..nothing is out-of-place or rushed..just perfectly planned and executed pure brilliance. This is the first in a new series for the author so I’ll eagerly be awaiting the follow up to see where this one goes. This entry was posted in Blog Tours, Book Reviews, Crime Fiction, Thriller, Uncategorized and tagged Blog Tour, Bloggers, Book club, Book Lovers, Book Release, Book Reviews, Bookaholic, BookBlog, Bookish, Books, Bookworm, Crime, Crime Fiction, Crime Thriller, Reading, Reading List, Reviews, Thriller on April 4, 2019 by Bairdy1985.